MOG (Men of God) is a long-lasting part of our ministry here at ICF. It is very hard even to ‘shut it down’ for a break during vacation time, because the men just want to keep on meeting! 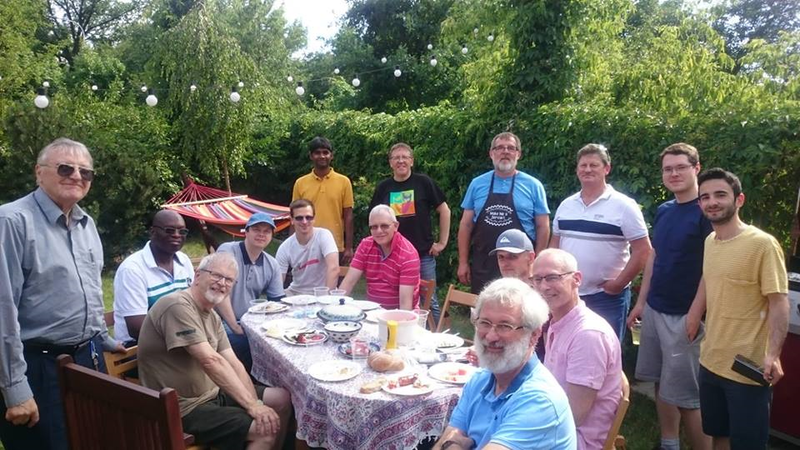 As well as our weekly Wednesday pizza, fellowship and study group, we also organise social events, BBQs, forest walks and Men’s Breakfasts etc. Every man is welcome to come. We are from various nations and cultural backgrounds and we are very informal and have good fun. However, we also see these meetings as a time to grow in our faith and understanding together. We tackle challenging subjects in the light of Scripture. We start with pizza at 7pm every Wednesday and we ALWAYS stop our meeting punctually at 9 pm. For more information, contact Jonny. MOG (Men of God) Monthly Breakfast 1st Saturday of the month. Dining at Bordo Restaurant on Chmielna 34. For more information please contact Jonny.